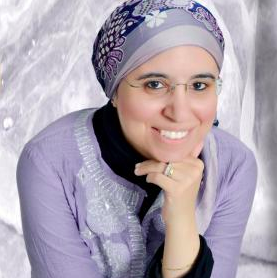 DMLLBlogArchive by Category "Digital Pedagogies"
DMLL and Academic Development are pleased to announce a series of webinars led by Dr Maha Bali (American University in Cairo). The webinars will address a number of issues directly connected with two pillars of Coventry University’s Educational Strategy (i.e. Intercultural & International Engagement and Digital Fluency & Innovation) and will involve a number of..
We were delighted to be able to present a number of awards to staff members across the University in recognition of their inspiring engagement with the Coventry.Domains initiative. 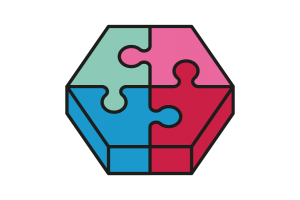 Coventry.Domains provides students and staff with web hosting space and a sub-domain name of their choice, along with capacity-building opportunities and support, so they can explore the potential of.. Originally posted here June 7th 2017 On designing a new paper-based tool for Coventry University’s Domain of One’s Own initiative at the Disruptive Media Learning Lab. 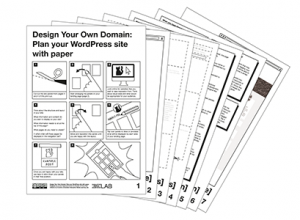 I’ve designed a new paper-based tool to guide students and staff through the initial steps of considering the potentials for building their own website using WordPress. The tool has the..
We recently received fantastic feedback from a home educator who contacted Makewaves to let them know of their experience using Mission Shakespeare. It’s great to hear of people’s experiences and the impact of Mission Shakespeare. 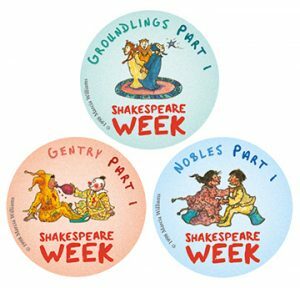 I thought the Shakespeare badges were terrific and am really excited when partners make new badges available aligned with topical news,..
Shakespeare has gone digital to encourage children to get online and learn about all things Bard thanks to a new interactive partnership for Shakespeare Week 2017. Mission Shakespeare is a new learning educational site launched to take learning of the life and works of William Shakespeare outside the classroom and introduce primary school children..
Overview Domain of One’s Own (DoOO) initiatives allow students and faculty to register a subdomain (or buy a separate domain) and associate it with hosted web space offered by their universities for free. After leaving university, users have the choice to download a backup of their files and data that may be restored using the..
Blog : Ready to become a Digital Leader? 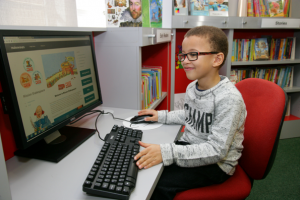 Digital Leaders is a new and exciting opportunity for Coventry University students to develop digital skills and learn techniques to pass those skills on to others. 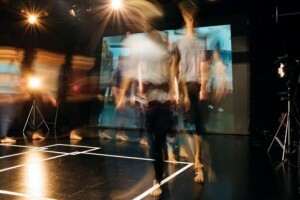 No matter whether you already are digital savvy or not, enrolled in a undergraduate or a postgraduate course, applications from any students eager to increase their own understanding of the digital..
Project leaders: Dr Tom Gorman, Dr Tiina Syrja, Senior Lecturer in Acting & Dr Mikko Kanninen, Senior Lecturer in Theatre Partners: Coventry University & University of Tampere (Finland) Overview: This project explores international co-operation in acting in a foreign language within a system that promotes a more environmentally sustainable model, eliminating (or at least diminishing) the need to..
Overview: CU Digital Leaders is a new student-staff partnership being piloted in 2016-17 with the aim of helping students improve their digital competences, take ownership of their online presence and gain awareness of their own digital identities. 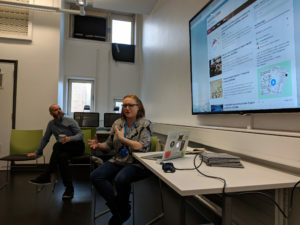 Based on peer-to-peer learning, This initiative is a collaboration of the Lanchester Library, the Disruptive Media Learning Lab (DMLL), and the Office of..
Blog : What is an Open Badge? Reblogged from CU Open Badges. An increasingly popular means of recognising, rewarding and publicising achievements, skills and knowledge. Open Badges are… “a new online standard to recognize and verify learning”- Mozilla Open Badges earned from multiple sources and collected in a single backpack stackable, allowing earners to build a rich digital identity displayed across social..